March Madness is always one of the most exciting periods of the sporting calendar and the 2017 March Madness event was no different. So many sides, players, coaches and fans set out with big expectations but by the time April rolled around, the Final Four was set in place and there were only so many teams and players that could continue to dream about the possible glory that awaited them. The NCAA Basketball premier event remains a massive draw and with the excitement and drama of this year’s Final Four matches, this isn’t going to change anytime soon. 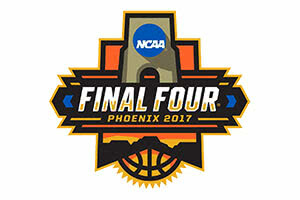 There was a touch of uniqueness about the first Final Four clash this year because, for the first time since 1973, the two teams involved were all playing at this stage for the first time in their history. This meant that there was a fresh level of interest and excitement in the event, which is always helpful when it comes to stimulating fans and generating discussion of the event. There was the tantalising prospect of an all Carolina game in the Championship match due to the way the semi-final matches panned out but of course, the opponents of the Carolina teams were determined to ruin that potential outcome. This was a close run game and things were looking tough for Gonzaga just before half-time when they lost Przemek Karnowski due to an eye injury. The No 1 seeds had plenty of things in their favour but with the scores level, any team would miss a player that held the NCAA record of victories, a total of 136, so you can see why some basketball betting fans were edging towards South Carolina as half-time approached. However, the Bulldogs showed their fighting spirit and they racked up a 14-5 scoring run before the break, sending South Carolina into a deficit at the break for the fourth time at the 2017 March Madness event. There was a rally from the team known as the Gamecocks, wiping out a 14 points lead in just three minutes but the last seven minutes saw the Bulldogs take control again, allowing Gonzaga to make their way to their first ever Championship match. Nigel Williams-Goss had an excellent tournament up to this stage and he stamped his mark on the semi-final offering 23 points, six assists and five rebounds. This was a display that lit up the game and it showed why he was recognised as the WCC Player of the Year, and with at least 20 points in three of his last four games, Williams-Goss was on a run of form that gave his side great hope heading into the Championship match. Nigel Williams-Goss paced the Bulldogs with 23 points, six assists and five rebounds. The WCC Player of the Year has scored 20 points in three of the last four outings. There was also a double-double for Zach Collins for Gonzaga, offering 14 points and 13 rebounds, as well as six blocks, which isn’t a bad return for a player coming off of the bench. The game was still alive with less than four seconds on the clock but smart play from the Bulldogs allowed them to retain control of the ball and earn free throws that saw them over the line, making them the first team from WCC to make it to the Championship game since 1956. That is over 60 years, so you can see why Gonzaga were very proud of themselves after their Final Four match-up. The other semi-final saw North Carolina take on Oregon and this was another hugely entertaining and close game. This was a game that came down to the final six seconds and Oregon will feel rather hard done by at how this game panned out. There was only joy for North Carolina though and one player that had a huge impact on the match was Kennedy Meeks, who provided the game high of 25 points and 14 rebounds. Grabbing a double-double in any game is special but when you pick up a double-double that sees you making it through to the Championship game of March Madness, you are going to feel rather pleased with yourself. Oregon have been a stranger to the Final Four since 1939, when they actually won the first ever NCAA Men’s basketball title and they were up against a team who with 20 appearances at this stage of the tournament can boast of being the most experienced side at this stage of the tournament. The fact that the game went to the wire shows how close it was but in the end, North Carolina were the stronger of the two teams and they would have been left kicking themselves if they failed to make it through at the end of the game. Oregon will regret at coming so far for the first time in a very long time only to fall short of the Final, but they can be very proud of their efforts over the course of the season and at March Madness itself. The two thrilling Final Four games raised expectations and set the tone for what people were looking for from the NCAA March Madness Championship game.